Fast (not always) and exciting, hockey is a fun team game. Two teams of up to 11 play against each other, on a grass or turf field, but it can also be played indoor if that’s your thing! A team is made up of different positions, like goalkeeper, defender, midfielder and attacker. Don’t worry if you don’t know what you’d be best suited to – hockey is a social sport, where all players have an important part to play, and a new club will always help you work out where you’ll fit in. Hockey players each have a hockey stick, to hit a small ball around the field. 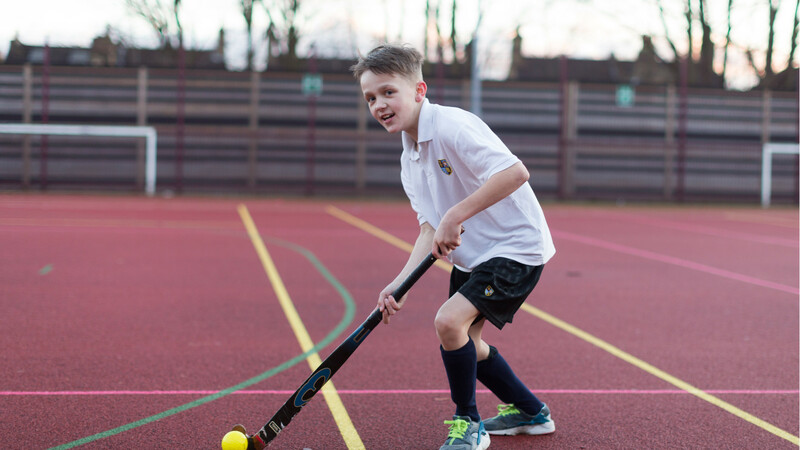 Playing with a stick, also means you can push and also flick the ball too – good for getting around the other team! The aim is to get the ball into other team’s net to score a goal; the more goals the better. A whole body workout with a team, so you might not even feel like its exercise! You just need sportswear and some trainers or astro/hockey boots. Shinguards are important too. Some sessions might provide a hockey stick for you to borrow, but check before you go. If you get really into it, you’ll want to get your own stick. If hockey could be your thing and you want to read more about it, just go to England Hockey’s website.